To begin with, like any ancient philosophy, stoicism has a physics and metaphysics–how it thinks the universe works–and separately an ethics–how it advises one to live, and judge good and bad action. The ethics is based on the physics and metaphysics, but can be divorced from it, and the ethics has long been far more popular than the metaphysics. This is a big part of why stoic texts surviving from antiquity focus on the ethics; people transcribing manuscripts cared more about these than about the others. And this is why thinkers from Cicero to Petrarch to today have celebrated stoicism’s moral and ethical advice while following utterly different cosmologies and metaphysicses. (For serious engagement with stoic ontology & metaphysics you want Spinoza.) The current fad for stoicism, like all past fads for stoicism (except Spinoza) focuses on the ethics. Stoic ontology and metaphysics are sufficiently awesome that I must give it a couple paragraphs before I move to the ethics, though the ethics are the core of its popularity today. Stoics were monists; if dualists like Plato and Descartes believe there are fundamentally two things (matter and non-matter, for example), monists believe there is fundamentally one thing. Not just one category of thing (Epicurean atomists, for example, think there is only one kind of thing: atoms) but actually one single thing. The stoics posited that the universe is one enormous contiguous single object. Different parts of it manifest different qualities, but are the same. 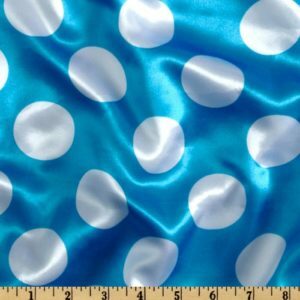 Just as polkadot fabric may manifest blueness here and whiteness there but remains the same object, so the part of the universe which is your hand manifests firmness and warmth and opacity, and the part which is the air manifests softness and transparency, but they are the same object. And when you seem to move your hand, in fact there is no motion, rather the part of the universe that was manifesting the transparency and softness of air before is manifesting the firmness and opacity of arm now and vice versa. Think of the pixels on a screen: what seem to be objects moving are in fact different parts of the screen changing color (i.e. changing quality) in sequence, creating the illusion of motion whereas in fact there is only variation in the surface of an object. (This is the stoic solution to Zeno’s paradoxes of motion discussed here). The stoic living universe is thus somewhat like the skin of a mimic octopus, able to seem to be become a myriad different things while it remains one. And in addition to blueness, and whiteness, and opacity, and warmth, other attributes the universe manifests more in some places than others include what we would call in modern terms sentience, self-awareness, and reason–thus the human being is a spot of sentience against a background of less sentient substance, like a white spot on blue. But, the stoics argue, any property which is possessed by the part is possessed by the whole, so while sentience and reason are concentrated in the spots which are living humans, the whole thing is a vast, intelligent, rational whole, and when we die we merge back into it. Thus there is no individual immortality, but we are all part of something greater which is eternal, wise, and infinite. Stoicism was likely influenced by Buddhism through contact with India during the wars of Alexander the Great, and shares a lot with Buddhism: the whole universe is one vast, living, divine whole. Life is full of suffering, but that suffering is a path to understanding a larger good. And there is a universal justice on the large scale beyond what a human from our limited P.O.V. can understand. In Buddhism this is karma, while for the stoics it is Providence, the same concept of Providence that Christianity later borrowed, which argues that everything in the world which seems bad is actually good in a way we cannot fully understand because of our limited perspective. It is as if we are a fingertip; we cannot understand why we must suffer the evil of being repeatedly banged against a hard, unyielding surface, because we don’t have the means to understand that the larger organism is typing up a blog post about stoicism, but if we did have the means to understand we would recognize that it’s worth-it on the large scale. The stoic justification for claiming the universe is perfect is the patterns we see in nature: trees have roots to drink the water they need, woodpeckers that eat bugs have beaks the shape they need to be, woodland animals have woodland camouflage, desert animals have desert camouflage, everything fits together in a vast, functional whole which (without Darwin to offer an alternative) the Greeks agreed implied intelligence, either in a creator (Aristotle’s demiurge), a source (Plato’s Good), or, for the stoics, the universe itself. 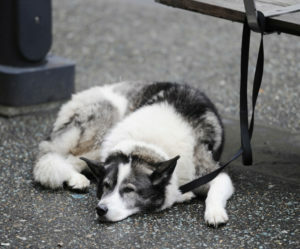 If you’ve walked by shops where dogs are tied outside you’ve experienced the radical differences in their behavior: anxious waiting, frightened waiting, calm confident waiting; the latter experiences less unhappiness. The stoics also argued (followed by some Christian thinkers) that there is no self-determination. We will all end up going where the Plan will have us go no matter what, but the one thing we do have power over is our own inner responses to the path fate gives us: do we curse, complain, fight, shake our fists at the heavens, or do we ascent, accept, relax, and gaze in happy awe on the vastness of which we are a part? A classic stoic image (and after this I’ll turn to ethics and the tech crowd) is that the human being is like a dog tied behind a cart. The cart is going somewhere, and there is absolutely nothing the dog can do to change the course the cart will take. The dog has freewill only in one thing: the dog can fight, snarl, tug at the collar, gnaw on the rope, dig its claws into the dirt until it bleeds, and exhaust itself with fighting, or it can trot along contentedly and trust the driver. The majority of surviving stoic writings focus, not on the metaphysics, but on the actionable conclusion: given all this, how do we teach ourselves to assent? To become the contented dog who trusts in Providence enough to follow where our paths lead without being made miserable by anxiety, fear, and resistance? Stoics therefore teach self-mastery and detachment: you can’t keep terrible things from happening but you can control your own internal reaction to them and work on preventing yourself from being overwhelmed by them. You wake up to some terrible news in the morning: do you brood on it all day and lose your productivity and wellbeing? Or do you take control and carry on? A lot of the surviving stoic writings are maxims, short pieces for contemplation designed to help you dwell less on bad things that are happening, sometimes more imagery than argument. Imagine–for example–that life is like being a guest at a banquet. Platters are being passed around and people are reaching out and taking what is offered them. 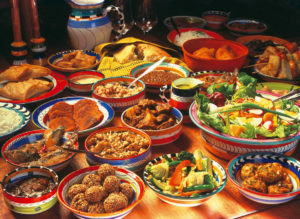 Some platters come to you and you take of them–other platters never make it to you, or are empty when they do. But you are a guest, these things were not yours, they were offered as gifts, so you have no reason to be angry that you can only taste some of them–better to enjoy the platters that do reach you, and remember that the host who offered them is kind. XXV. What a small portion of vast and infinite eternity it is, that is allowed unto every one of us, and how soon it vanisheth into the general age of the world: of the common substance, and of the common soul also what a small portion is allotted unto us: and in what a little clod of the whole earth (as it were) it is that thou doest crawl. After thou shalt rightly have considered these things with thyself; fancy not anything else in the world any more to be of any weight and moment but this, to do that only which thine own nature doth require; and to conform thyself to that which the common nature doth afford. The ontology here serves the therapy. You lost the election? Got passed over for promotion? Got a bad review? These things are small and fleeting within the larger whole, all wealth will perish in infinity, all fame fade, nothing serious was really lost. You lost your arm to disease? It was not yours to begin with, it was leant to you be a kind universe which has a right to take it back again. You lost your best friend? Again, this was a brief good thing the universe leant you, don’t dwell on it, look instead to the other good things that still surround you. Goods are real, evils an illusion, and if you can believe that it becomes easier–the stoics promise–to let go. The approach works, sometimes. Scientific studies tell us that pain is more emotionally terrible when we know/believe it’s actually damaging us, i.e. that the same number of nerves firing off is more upsetting when than when we believe it’s permanently damaging a body part than when we know it’s hot wax or an electroshock and the effects won’t be lingering. So if you can actually convince yourself that nothing really important has been destroyed when something affects your fame, or fortune, it does hurt less. And millions of people over thousands of years have found stoicism a comfort on life’s tumultuous sea. The new popularity of stoicism among the tech crowd, and also on Wall Street which is another place that’s been reading and naming things after stoics recently, is strikingly similar to stoicism’s popularity among the powerful elites of ancient Rome. In Hellenistic Greece, stoicism had been one of several different popular philosophical schools, along with Platnonism, skepticism, Pythagoreanism, cynicism, Aristotelianism, Hedonism etc. (Quick tip: names of philosophical systems are generally capitalized when named after people, not capitalized when named after other stuff, as in cynicism from cynos, dog; stoicism from stoa, porch, where the first stoics held their classes.) And like the rest of these ancient schools, stoicism focused on eudaimonia, i.e. happiness or the good life, the idea that the purpose of philosophical study was not primarily to understand everything, or to achieve power through knowledge, but to achieve personal happiness, usually through inner tranquility and armoring the soul against the slings and arrows of outrageous fortune (see my essay on eudaimonia for more.) 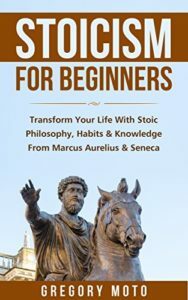 Stoicism was one of a number of methods to attempt this, so like all ancient schools it fulfilled the roles of a self-help book and Science 101 textbook rolled into one. Cross a hippie commune with a monastic order and you have something like most Greek philosophical schools. But in Rome stoicism surged in popularity compared to all the other systems, because it was the one Greek ethics which worked well for the rich and powerful. Other schools like Platonism, cynicism, and Epicureanism warned followers that participation in politics and the pursuit of wealth, power, or honor would only lead to stress and risk, and were incompatible with happiness. Epicurus said the happy life was found by leaving the political urban world to sit in a secluded garden, eating a simple meal while conversing with good friends. Cynicism advocated the more extreme step of renouncing personal property and living like a stray dog scrounging beside the road, which has no fear of being robbed or losing its status because it has nothing to lose. The Pythagoreans and many other sects lived in isolated communities not unlike monastic orders, and used strict diets, ascetic dress codes, even vows of silence. Plato too specified that the philosopher kings of the republic are made unhappy by the stress of having to rule, and a number of ancient figures even used the stress of rule to argue that the gods can’t possibly hear and act on human prayers or else the gods would be perpetually harassed and unhappy. Stoicism, on the other hand, stressed the idea that everyone is part of a large perfect whole and thus that it’s everyone’s duty to fulfill the role Fate allots. In the ordering of nature the woodpecker should peck, the deer should graze, the bee should pollinate, and the wolf should hunt and kill. We too as humans have a duty to fulfill our roles, be that as servant, merchant, slave, or king. Some stoic authors were slaves themselves, like Epictetus author of the beautiful stoic handbook Enchiridion, and many stoic writings focus on providing therapies for armoring one’s inner self against such evils as physical pain, illness, losing friends, disgrace, and exile. But other stoic philosophers were great leaders of states, including leading statesmen like Cicero and Seneca, and the Emperor Marcus Aurelius. Stoicism caught on among Roman elites because it was the one form of philosophical guidance that didn’t urge them to renounce wealth or power. Politics is stressful, but rather than giving it up to live like a monk or a dog, stoicism says you should continue the hard work seek to attain an inner attitude in which you will not suffer misery when you do fail, when you do lose the election, face the criticism, suffer the setback, feel the blows of fortune. Stoicism alone recommended inner detachment, not walking away. For Roman patrician statesmen with long family traditions of political leadership, walking away from civic participation was a non-starter (especially since Roman ancestor worship meant that achieving a name in politics was also a religious duty which your very afterlife depended on!). 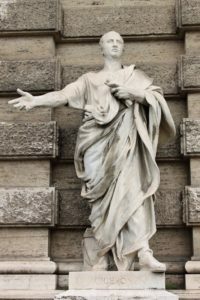 Stoicism finally offered a philosophical ethics useful to the statesman, which is why Cicero–a skeptic who engaged with many sects of philosophy–favors it in his dialogs more consistently than any other sect (this may not sound like a strong endorsement but is a high a very high bar for Cicero. And Cicero is a very big deal). Posthumous honor was everything to Roman political families, and renouncing office a betrayal of generations. 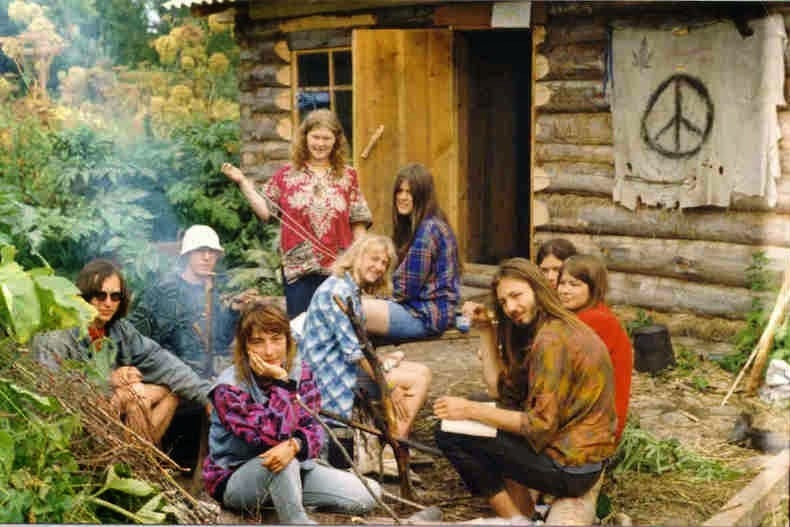 The hippie commune is right out! Thus, turning to the questions that Nellie asked me for her article, when I see a fad for stoicism among today’s rising rich, I see a good side and a bad side. The good side is that stoicism, sharing a lot with Buddhism, teaches that the only real treasures are inner treasures–virtue, self-mastery, courage, charity–and that all things in existence are part of one good, divine, and sacred whole, a stance which can combat selfishness and intolerance by encouraging self-discipline and teaching us to love and value every stranger as much as we love our families and ourselves. But on the negative side, stoicism’s Providential claim that everything in the universe is already perfect and that things which seem bad or unjust are secretly good underneath (a claim Christianity borrowed from Stoicism) can be used to justify the idea that the rich and powerful are meant to be rich and powerful, that the poor and downtrodden are meant to be poor and downtrodden, and that even the worst actions are actually good in an ineffable and eternal way. Such claims can be used to justify complacency, social callousness, and even exploitative or destructive behavior. Seen in the best light, a wealthy person excited by stoicism is seeking a philosophy that helps the mind resist greed and the capitalist rat race and offers a wiser perspective and inner happiness; seen in the worst light it can be a tool for justifying keeping one’s wealth and power and not trying to help others. In that sense it reminds me of the profession of wealth therapists who help the uber-wealthy stop feeling guilty about spending $2,000 on bed sheets or millions on a megayacht. Wealth does come with real emotional challenges, but as society calls more and more for fundamental reform to close the wealth gap and reduce the power wielded by the 1%, cultivating a pro-status-quo attitude can also be a way to deflect pressure to try to address society’s ills. Bust of Seneca, looking wise and careworn. Seneca, an author I absolutely love, wrote exquisite maxims about selflessness and virtue which have been backbones of moral and political education for two millenia. So powerful are his arguments that Petrarch, when comparing the strengths of the ancient Romans and ancient Greeks in different arts (Homer v. Virgil in poetry, Demosthenes v. Cicero in oratory, Thucydides v. Livy in history etc.) 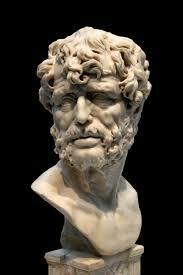 concluded that Seneca alone makes the Latins wholly superior to the Greeks in matters of ethics. Seneca also risked his life trying to curb the tyranny of Nero, and eventually died for it. But for all Seneca’s powerful advice about the big picture and the meaninglessness of wealth, he was also a slave-owner who, when alerted that his male slaves were sexually abusing his female slaves, set up a brothel in his estate so he could make his male slaves pay him for the privilege of abusing his female slaves–not quite the behavior we imagine when Seneca says money is meaningless and all living beings are sacred. But stoicism urges us to turn our critical eye inward and improve ourselves, not to turn it outward and improve our worlds. It gave Seneca the courage and resolve to face the danger of Nero’s deadly whims day by day in order to do his duty to the Roman political elite, but it didn’t encourage him to question his world order. 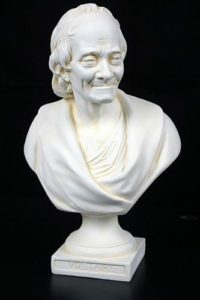 Bust of Voltaire, looking kind. Stoicism is an intellectually rich and stimulating system, and wonderful therapy against grief, against dwelling on setbacks, and against getting caught up in the chase for fame and fortune and the blinders of the rat race. It reminds us to zoom out from a world of praise, and blame, and status, and cruel things people said on Twitter, and the competition to see made the most sales, or had the most hits, or got the largest raise, all things which can be genuinely emotionally devastating if we let ourselves get too caught up in them. In all those ways stoicism is a great match for Silicon Valley, for Wall Street, also for my world of academia and tenure and their stresses and injustices. It’s also a great match for congresspeople, authors, journalists, actors, entrepreneurs, everyone whose life contains stresses and setbacks and moments when we need help to let us to take a deep breath and let it go. But Cicero was not Voltaire, and did not look at the evils and injustices around him and conclude that he should wield his power to make a fundamentally better world–he focused only on coping with the world as it already was, and fulfilling his duties within it. Stoicism predates the concept of human-generated progress by more than a millennium. It doesn’t teach us how to change the terrible aspects of the world, it teaches us how to adapt ourselves to them, and to accept them, presuming that they fundamentally cannot be fixed. But we have two millenia more experience than Seneca. We know many of life’s evils can’t be fixed, but we also know, with human teamwork and the scientific method and a dose of Bacon and Voltaire, some of them can. That’s why when I hear that rich, powerful people are into stoicism I think it’s great that people are excited by the idea that we should hold all life sacred and look for meaning beyond wealth and worldly power. I think it’s a great philosophy for anyone, and certainly for those who need help zooming out from a high-stress, high-competition world to think about the human and humane big picture, and to pay more attention to self-care, and loving others. But it also makes me a little wary. Because I think it’s important that we mingle some Voltaire in with our Seneca, and remember that stoicism’s invaluable advice for taking better care of ourselves inside can–if we fail to mix it with other ideas–come with a big blind spot regarding the world outside ourselves, and whether we should change it. An activist can be a stoic–activism absolutely needs some way to help cope with the pain when we pour our hearts and hours into trying to help someone, or pass new legislation, or resist, and fail. For such moments, stoicism is a precious remedy against despair and burn-out, but it doesn’t in itself offer us the impetus toward activism and resistance in the first place. That we need to get from somewhere else. I’m so happy to see a new entry on your blog! Very interesting and relevant read too! I have a question regarding the anecdote about Seneca setting up a brothel with/for his slaves. Obviously, looking at it with today’s morals that is an incredibly awful thing to do (as is owning slaves in the first place), and it does contrast with the idea that all living beings are sacred. But I don’t really have a good picture of how people in Antiquity thought. As you said, the concept of human-driven progress hadn’t been invented. Are there philosophers in the Antiquity who would have considered Seneca’s actions morally wrong? If so, did they also object to owning slaves or just the making money from sexual abuse part? When something starts existing and when it is influenced by outside ideas are two different concepts. Zeno of Citium (c.366-265) BC founded the stoic school, and is recorded as having begun teaching in 300 BC, more than 30 years after the death of Alexander the Great in 323 BC. Like Epicureanism, stoicism is one of the rich body of Hellenistic philosophies whose innovative complexity was stimulated and enabled by the new interconnection of cultures created when Alexander’s conquests brought the Mediterranean and south/central asian worlds into greater contact, and disseminated the Greek language which began to function as a broadly-intelligible common shared second language of trade and cultural exchange, crossing what had been firm linguistic barriers. Stoicism did have earlier Greek roots too, however, most notably the cynic school, which predated Zeno, having been advanced by Antisthenes, a student of Plato and peer of Socrates, though the most famous cynic, Diogenes of Athens, was a contemporary of Alexander. For more on the specific dates in the history of stoicism and its evolution and dissemination, see “The Routledge Handbook of the Stoic Tradition,” ed. John Sellars. New York: Routledge, 2016. I contributed the Renaissance chapter. Love this, exurbe. Lucid and smart, as usual. Sharing with my son and his friends who are “discovering” stoicism, In part because of its popularity with the tech crowd. Thanks for posting this! I liked the NY Times article—and I learnt a lot while reading it—but could not help being disappointed that it is so short, with so few direct quotes from you there (honest cultural question here: is this routine in English-language media? From (continental) Europe, I’m used to “interviews” being long rambling transcripts of conversations which may easily take up half a page or more in a newspaper, with the interviewer either adding either nothing or just a short introduction to who is being interviewed and why). One question though, which sprang to mind while reading this: the argument with the trees and woodpeckers, that everything fits together; it reminded me intensely of Voltaire having Pangloss say stuff like “men have noses, therefore we have glasses”, and the increasingly absurd justifications he gives later about how e.g. the earthquake of Lisbon needed to happen. Was Leibnitz’s optimism influenced by stoicism, and what did Voltaire think of stoicism? I have to disagree on when you say that Stoicism borrowed from Buddhism and Christianity borrowed from Stoicism. It is not as much borrowed as they are seeds of the Logos mutually discovered. Isn’t Christianity’s borrowing from Stoicism (and other Greek philosophies) pretty well-attested? Like I think most of the major medieval theologians explicitly cited classical sources when writing. I don’t think Ada Palmer is just asserting this borrowing because one happened after the other; I think it’s right there in the text. I noticed you skipped the Aristotelian school in your rundown of hellenistic philosophical schools. Any particular reason for that? I could see how the Romans might have scoffed at Aristotle’s insistence that virtue alone, though the chief good, is not sufficient for the best life, but it seems to me that Aristotle’s emphasis on Virtue *and* worldly goods might be especially appealing to modern people. Why do you reckon Aristotle hasn’t made it to fad status yet? Insufficient publicity?